It's a good phone considering what it costs. My main issue with it is it cannot keep up with how fast I text! it delays a lot. Mark_S, 26 Jun 2008U.S. has this phone as well under a different model number. 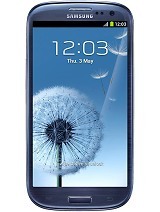 GSM 900, 1800 has been replaced wi... moreWhich is the best feature you liked in this mobile? Total of 187 user reviews and opinions for LG KP105.